The last few weeks have seen media reports abuzz with demands from farmer groups to raise the minimum support price (MSP) of agricultural crops in the wake of an imminent agrarian crisis. As government reflects on these demands, perhaps, it should also reconsider its last year’s decision to reduce the MSPs of Minor Forest Produce (MFP). What is the MSP for MFP scheme? A Planning Commission report had noted that MFP contributes to 20 to 40 per cent of the income of forest-dependent communities, especially the landless with a dominant population of tribals, and “provides critical subsistence during lean seasons.” The MFP economy, however, is also known to suffer from unorganised and uncertain market demands, affecting economic returns to these communities. A centrally-sponsored scheme was, hence, rolled out at the end of 2013-14 (during the 12th five-year plan) to ensure fair and remunerative price to MFP gatherers. Called ‘Mechanism for marketing of Minor Forest Produce (MFP) through Minimum Support Price (MSP) and development of value chain for MFP’, the scheme was designed as a social safety measure for MFP gatherers. According to the guidelines issued for the implementation of the scheme, the Centre needs to provide 75 per cent of the working capital in the form of revolving funds in the initial two years and share losses, if any, in the ratio of 75:25 between the Centre and the state. The scheme covered Scheduled Areas in eight states and fixed MSPs for 12 MFPs. The scheme also emphasises the development of a value chain for MFPs, which includes creation of cold storage facilities, warehouses, processing units and modernisation of haats (markets). What do the revised guidelines say? In October 2016, the Ministry of Tribal Affairs (MoTA) revised the guidelines for the scheme. On one hand, the scheme was extended to all the states of India and added another 14 MFPs to the list eligible for MSP. On the other hand, the guidelines heavily cut down the MSP for important MFPs such as lac, chironji (Buchanania lanzan), tamarind, karanj seeds (Millettia pinnata) and mahua seeds (Madhuca longifolia). While it has allowed the states to enhance the new rates by up to 10 per cent, it has also put the condition that any losses incurred in the process would be solely borne by the state governments. The revised guidelines also give states a free hand to completely stop the scheme with a clause that says: “State is also at liberty to suspend the process of procurement or not to do procurement of MFP at all.” The revised guidelines have also discouraged construction of storage facilities and warehouses. How will the reduction affect MFP-based livelihoods? In Odisha, the revision in the MSP of certain MFPs will hurt forest-based economy of the tribal communities. The scheme, despite its limited outreach, had started to show visible impacts in building the negotiating power of the tribal communities for fair prices for their forest produce. In Kandhamal, one of the remotest districts of Odisha, tribal communities had been selling tamarind to local traders at throwaway prices. The traders would buy the entire tamarind in a tree based on ocular estimation, the real price in which case would be even lower than Rs 5 per kg. The MSP for tamarind had been originally fixed at Rs 22 per kg. When the communities in Jamjhori gram panchayat of Phulbani block learnt about the MSP, they refused to sell their tamarind to traders. In Odisha, the Tribal Development Co-operative Corporation (TDCC) is the facilitation and implementation agency of the MSP for MFP scheme. 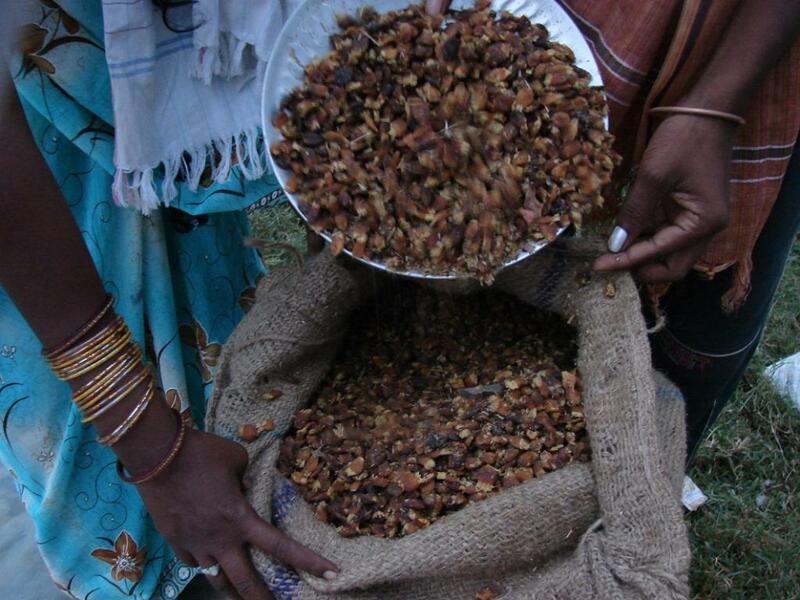 In 2016, tribal women from 12 villages in the panchayat organised themselves into MFP collectives and started collecting tamarind from the households in their villages for sale to TDCC. On hearing about the arrangement, the local traders panicked and offered the collectives a much higher price than TDCC. Finally, the collectives were able to procure 80 quintals of tamarind from 119 households of the panchayat and sold it at Rs 25.50 to a district-level trader, earning an income of Rs 204,000 and a profit of Rs 164,000 over the traditional tamarind prices of Rs 5 per kg. 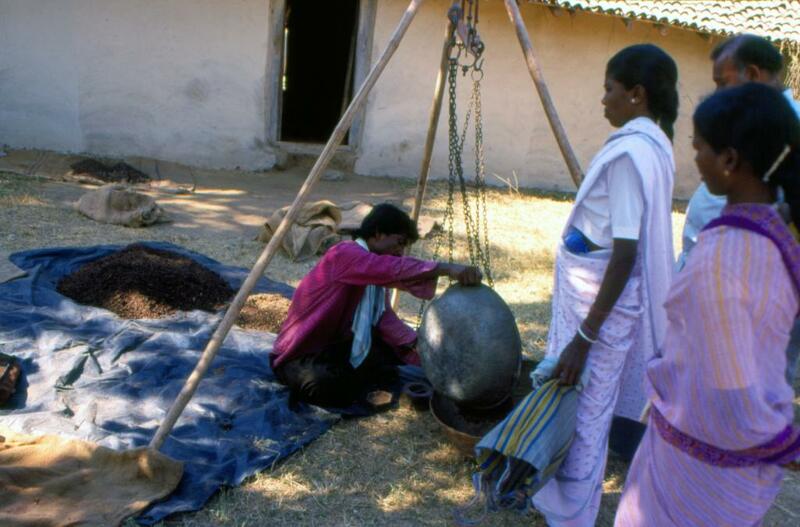 Similarly, tribal communities in the Sundergarh district would sell chironji seeds (Buchanania lanzan) for as little as Rs 40 per kg, when the market price for chironji kernels (1kg of kernel requires about 3.5 kg of seeds) in cities is more than Rs 1,000 per kg. The MSP for chironji was fixed at Rs 100 per kg. In the first year, TDCC lifted 780 kg of chironji seeds. What would have fetched the collectors about Rs 31,200 rupees in the local market, ultimately earned them Rs 78,000—an incremental benefit of 150 per cent. While the TDCC bought a very small part of the total chironji seeds sold in the region, the local price of seeds went up to more than Rs 60- 70 per kg in the same year. As the above examples show, the MSP for MFP scheme was not only enabling tribal communities (especially women) to earn much better prices for their MFPs, but also building their collective bargaining and negotiating power. The scheme was starting to gain popularity in neighbouring blocks and districts and communities were looking forward to avail of it in the years to come. Just then, the revised guidelines for the scheme arrived. The MSP for tamarind and chironji have been reduced to Rs 18 and Rs 60 per kg! The reductions will most likely affect what the communities had managed to achieve—better economic returns from MFPs and bargaining power with private traders. Is the reduction in MSP justified? The rationale of the government in reducing the MSP has been to minimise the losses to state governments. The Union Minister of Tribal Affairs, Jual Oram was quoted as saying that the MSP in the 2014 guidelines had been fixed at the higher end and states were not able to meet the costs. Essentially, the government has made it clear that it is not going to bear the losses incurred in the MFP trade. A fact check reveals that Odisha received Rs 741,833,000 from 2014 to 2017 for the implementation of the scheme, but managed to spend only Rs 76,295,528 – less than 11 per cent of the allocation. Also, the Odisha government managed to procure less than 4 per cent of the total quantity approved under the scheme in 2015 and 2016. Of the 14 MFPs listed in the original guidelines, only six MFPs were procured by the state under the scheme in the last two years. Interestingly, five of them have seen reduction in their MSP under the revised guidelines. At the national level, too, expenditure on the scheme has been less than one-third of total allocation: Rs 100 crore out of Rs 317 crore in 2014-15. In 2015-16, the expenditure in the first three quarters (Rs 102 crore) was less than 35 per cent of the total allocation (Rs 307 crore). Even before the scheme could be properly implemented and funds effectively utilised, the government decided that MSPs needed to be reduced. This raises serious doubts about the government’s intention. The MSP for MFP scheme has tremendous potential to improve livelihoods of forest-dependent communities and also leads to their economic empowerment. What it needs is encouragement, and not setbacks. Unfortunately, the revised guidelines have done the latter. Could one reason be that tribal ministers and representatives are agriculturists and not NTFP collectors?